Meal planning can be so helpful for your week and your budget, but sometimes its a struggle to come up with the meals and make your lists and pull it all together! E-mealz is a great service that for just $1.25 a week will provide you with a meal plan for 4-6 people or if your a newlywed like me, just 2 people. E-Mealz relies on a team of experienced meal planners, writers and editors to create new dinner menus every week that are designed around grocery store sales (Publix! ), seasonal specials and diet preferences. Subscribers download a recipe plan for the week with a matching aisle-by-aisle grocery list (score!). The easy-to-follow recipes usually contain fewer than seven ingredients to allow for prep times of less than 30 minutes. Menus are created around a budget of $75 per week for families and $35 per week for couples. The best news is, we are giving away a 3 month membership for any plan that works for you! You can preview the plans here. To enter the giveaway "like" E-mealz on Facebook or follow them on Twitter and leave a comment telling me which you've done. A winner will be chosen next Wednesday, June 8th. For recipes and tips from E-mealz you can also check out their blog! I really, really could use this!! I need some help with meal planning. Thank you fo having such a great giveaway! I "liked" them on FB. Following them on twitter. I'd love to try them out! Thanks for the opportunity! Interesting! I'd love to try this. I spend wayyyyy too much $$ at the grocery store for just two of us. What a great giveaway! I just followed them on Twitter! Also "liked" them on facebook! Follow on Twitter. Would love to win! 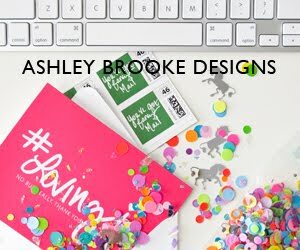 I just came across your blog and I love it!! I am a newleywed myself of almost 3 weeks and I am not a lover of cooking! This would be an awesome way to learn to cook a variety of different things and stay within a budget! I am now following E-mealz on Twitter (@brittlizz1102). Thank you so much for the giveaway! !